The colour you like your car will always come down to personal taste, but it remains an important consideration when you’re choosing your next car, particularly if it’s brand new. The right shade and type of paint will be easy to keep clean and increase the residual value of your car, while the wrong one will pick up scuffs and be less desirable on the second-hand market. 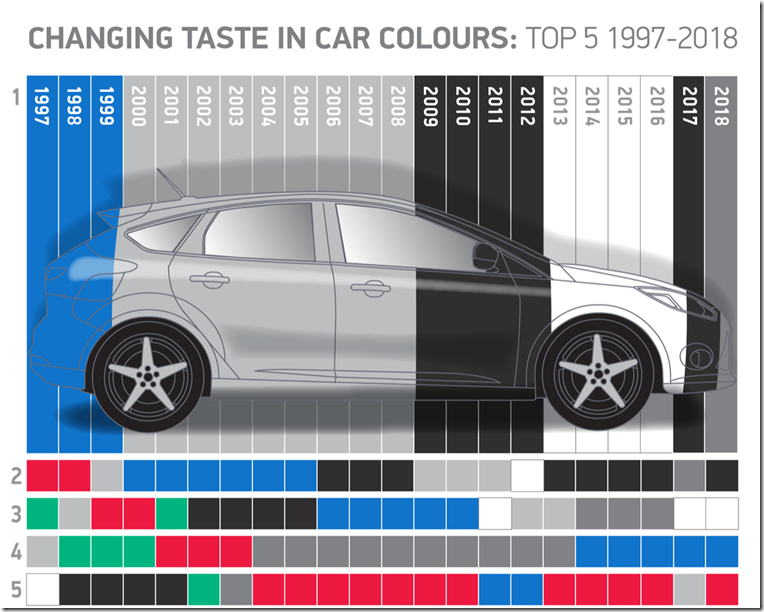 Grey became the UK’s favourite new car colour for the first time since records began in 2018, although we did like silver between 2000 and 2008. Why? Probably because it’s a durable colour that’s easy to keep clean, while it also manages to hide the odd car park scuff, too. Overtaking black for the first time, it accounted for 20.9% of all new registrations last year. Black made it into second position, with 478,154 registrations in 2018 – that’s more than 20% of them hitting the roads last year – that’s more than 20% of all the cars registered over the last 12 months. It’s easy to explain its popularity – whether it’s an economical supermini or a high-end supercar, everything looks classy in black. Often offered as a no-cost option, the popularity of white cars has increased dramatically over the last few years. In fact, from 2013 to 2016, it dominated the number one spot. Despite black and greys’ increasing dominance, third position still proves it’s the go-to choice for many. It’s not the easiest to keep clean though. Blue has made a serious resurgence in recent years, and made up 16.1% of registrations last year. Obviously, however, blue can mean anything from a dark, almost black-like hue right up to shades that are as bright as the sky. Red made it back in to the top five in 2018, knocking silver into sixth. Aside from 2017, however, it’s always been a popular choice, having held fifth position before from 2013 to 2016. Overall, red made up exactly 10% of registrations in 2018. Over the years, manufacturers have produced hues that are now as synonymous as the brand itself. Sometimes, the colour can even become a cars’ defining point. We took a closer look at some iconic and eye-catching shades that have been used over the years. 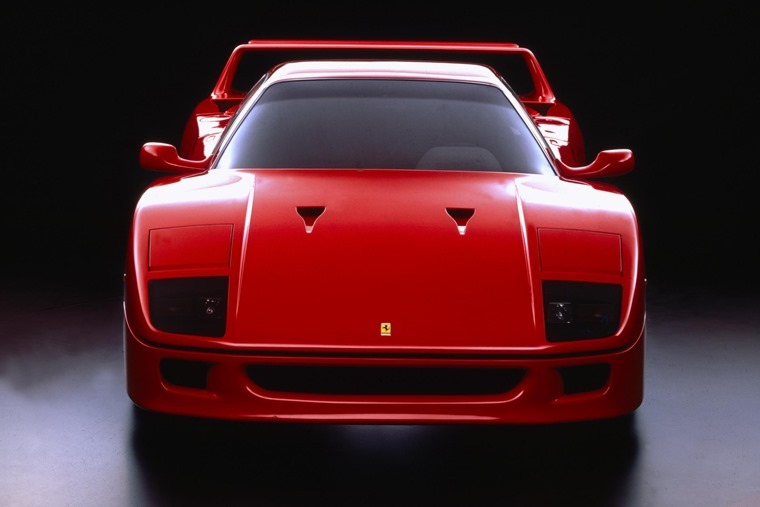 Picture a Ferrari in your head, and we bet you’ll be picturing one in magnificent Rosso Corsa Red. For those buying one, it would be a very left field choice NOT to go for this colour. That’s just how iconic it’s become. In fact, it’s so important to the brand customers can’t even pay to customise it to their liking as is possible with other shades. Next up is Subaru’s trademark Mica Blue. Like Ferrari above, it gained its provenance thanks to motorsport, but this time off the tarmac rather than on it. 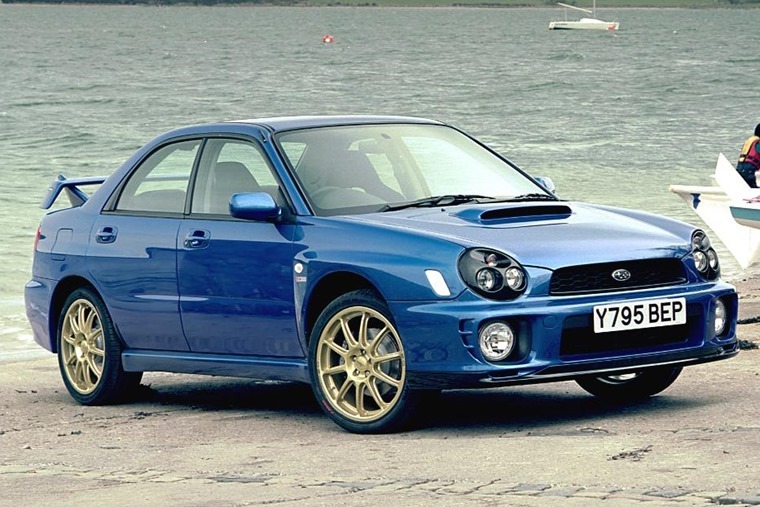 Ever since Colin McRae’s victory in the 1995 RAC rally, this deep blue has been held in high regard by those that love the World Rally Championship. 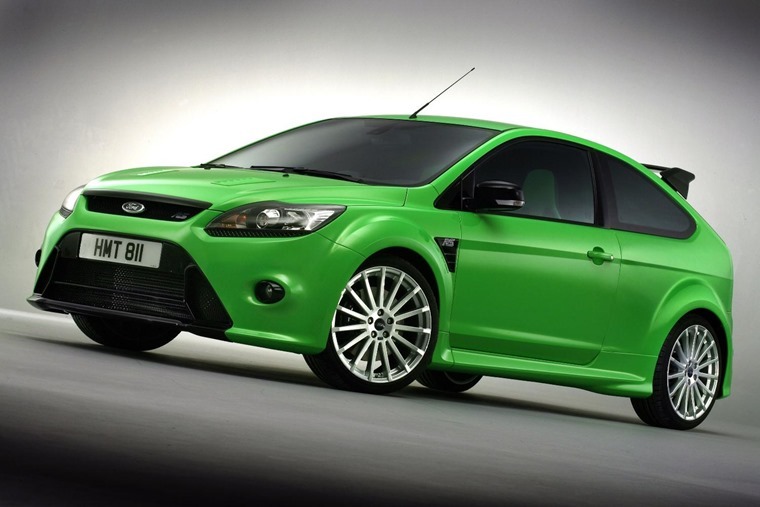 Fast Fords have always been a rather showy affair, and the 2009 Ford Focus RS was no exception. Just in case its beefy body kit and huge spoiler didn’t mark it out enough, Ford saw fit to offer it in what must be one of the brightest greens ever to make it on to a car. It’s next level in terms of brightness and, while it was never going to be to everyone’s taste, it’s the one thing that’ll stick in your head about the Focus RS. Grey? One of the best car colours ever? Admittedly it’s a rare occasion and it will always take the right car to pull it off, but Audi did just that with Nardo. It’s certainly not what you’d call loud, but it is what menacing – in fact it’s so threatening, it appears to be the same colour as a Eurofighter Typhoon jet. 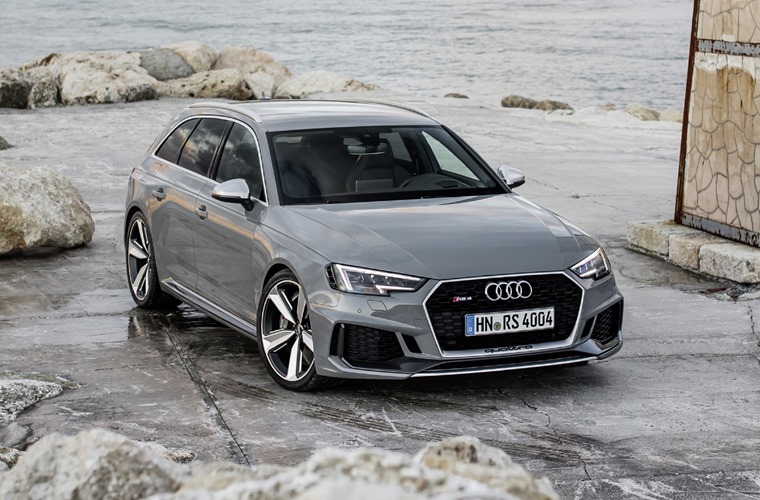 Just the ticket for something like the ludicrously fast Audi RS4 Avant above, for example. 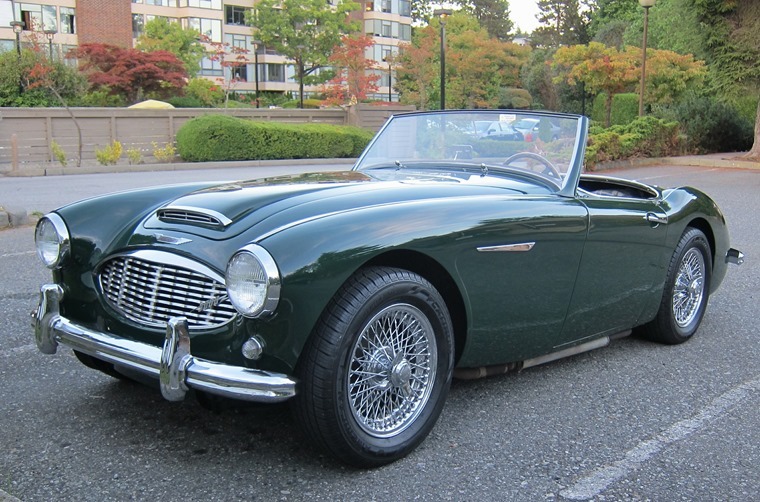 British Racing Green is the official motor racing colour of the UK and has been in use since 1903. As such, it’s one of the most well-known and best-loved colours ever. Well, in the UK at least. It’s best remembered on cars like the Jaguar E-Type and Aston Martin Vantage of the 80s, although it’s still in use today. 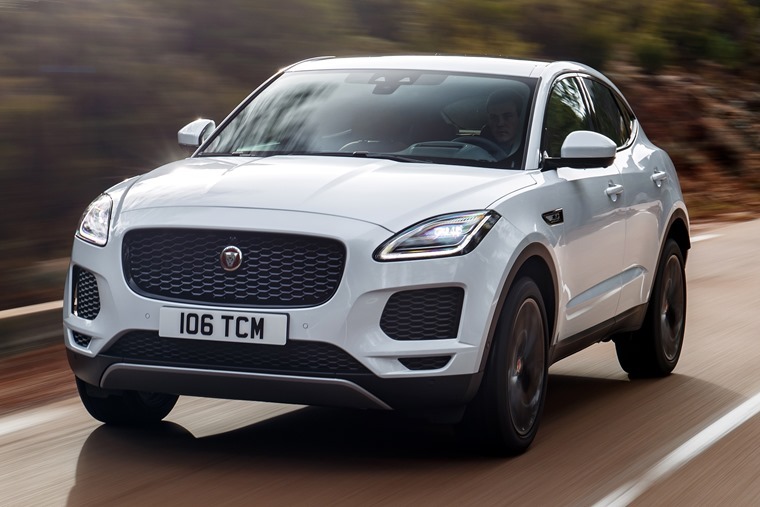 It was revived by Jaguar Racing in Formula 1 in 2000, and you’ll find numerous variations still offered on British car makers’ colour charts to this day. 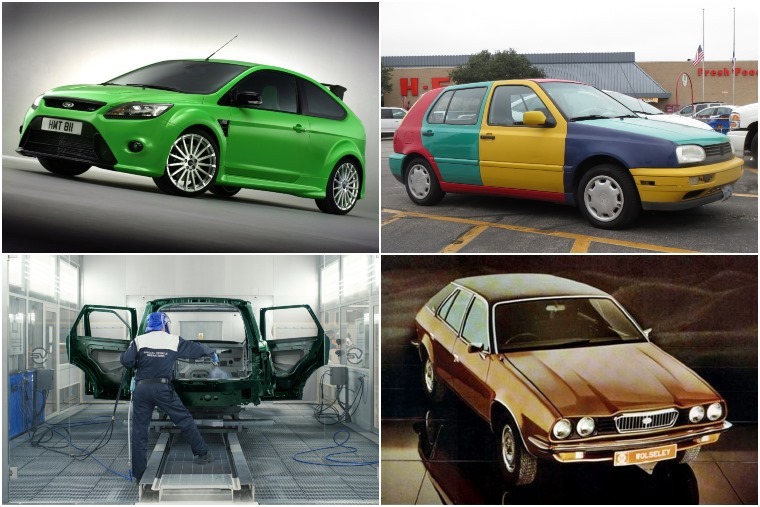 The worst car colours ever? 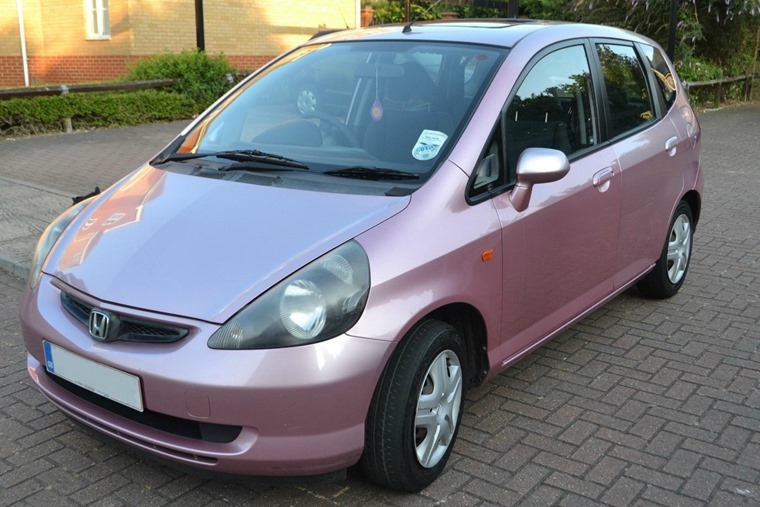 We’ve all heard of a pink Cadillac, but a pink Honda Jazz? Well, that’s one of the shades that was chosen for the MKI version, available between 2001 and 2008. It was – and remains – one of the relatively few cars to be offered with a pink paintjob as a standard option. A bright, shiny yellow can look good. Think Lamborghini. Think Mustang Mach I. 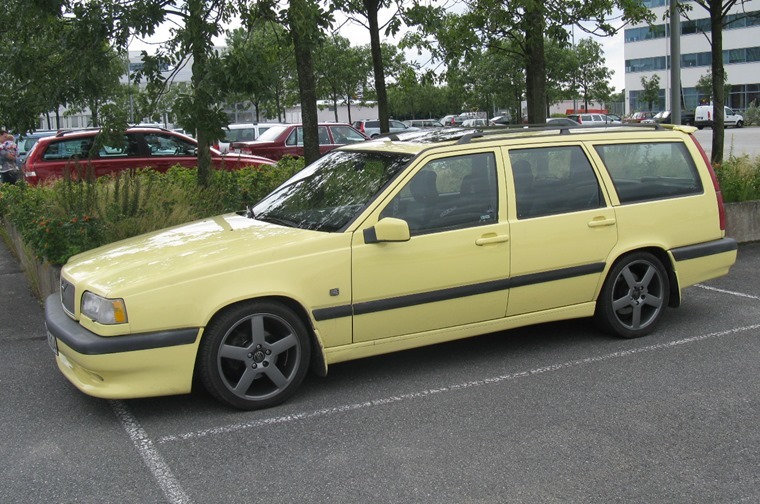 But Volvo’s Cream Yellow of the 1990s wasn’t bright and it wasn’t cool. In fact it’s almost as if it had faded before it left the factory. Saves on the car polish, I guess. 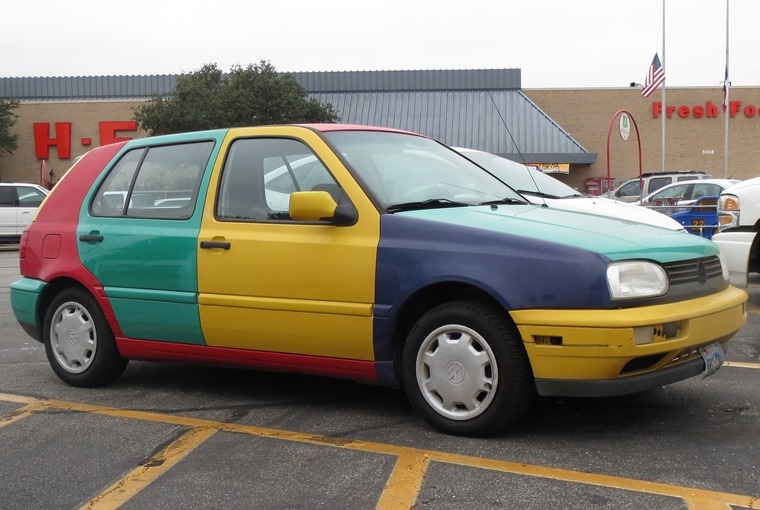 Volkswagen’s Golf Harlequin was a special edition rather than just a shade of paint – namely because it was multi-coloured. For what is usually a sensible Germanic institution, it’s certainly one of their more ‘out-there’ ideas. It was made up of four colours to be precise – Tornado Red, Ginster Yellow, Chagall Blue, and Pistachio Green. Believe it or not, they weren’t just cobbled together randomly – four combinations were offered following a design assessment. These days it’s a very rare car and quite the collectable, although it wouldn’t be too much trouble to make your own. Another yellow, this time from BMW. Why do we not like it? Well it’s eye-catching, but not necessarily in a good way. 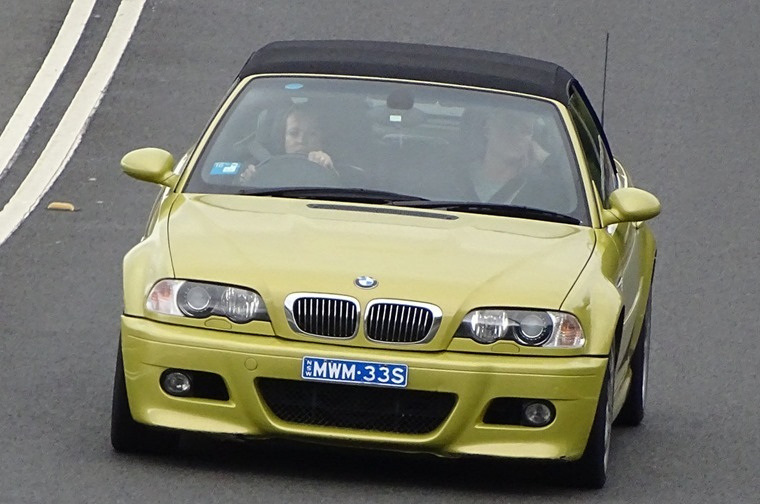 Phoenix Yellow was most often applied to the company’s high-performance ‘M’ cars and, whilst giving an M3 the same complexion as bile, Phoenix Yellow is in high demand among enthusiasts. 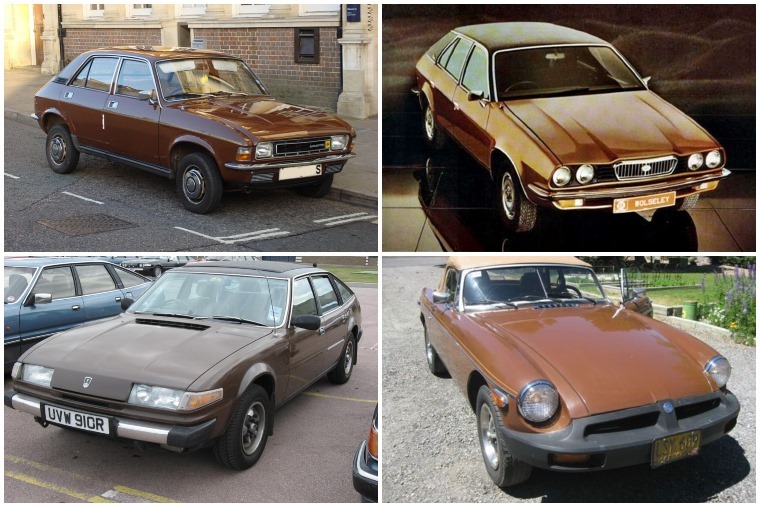 Of all the cars in all the world, only a select few can pull off brown well. But that wasn’t the case in the ‘70s, when seemingly everything British Leyland offered was available in assorted shades of anaemic dog dirt. The above photo shows off varying degrees of hazel-based hideousness, but not one of them looks appealing. More interested in which colour to pick for your next lease car? 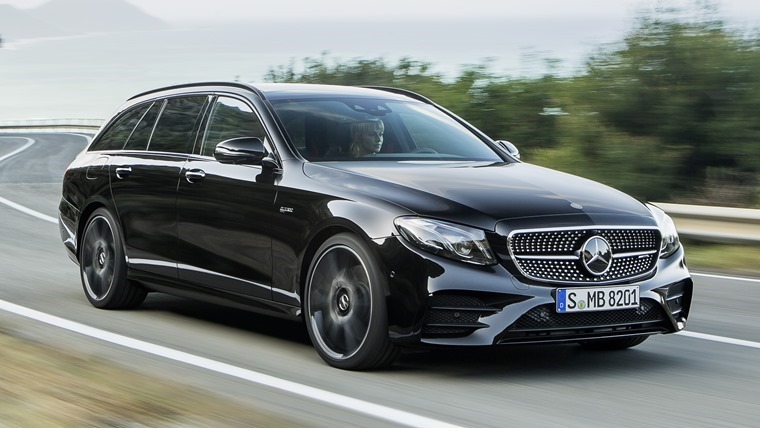 We’ve looked at the options for some popular models like the Volkswagen Golf and Mercedes-Benz C-Class.